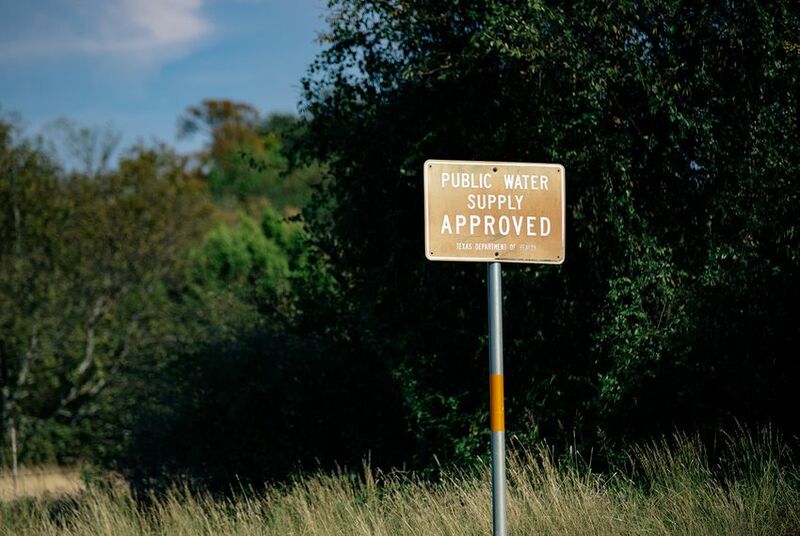 Several recent national studies have found that dozens of public utilities in Texas supply tens of thousands of people with drinking water that contains illegal levels of radiation, lead and arsenic. So how concerned should Texans be when they turn on the tap? For those who live in urban areas, not very. But the studies have found that rural Texans are particularly at risk. The latest, published earlier this month by the Washington, D.C.-based Environmental Working Group, identified 37 water utilities serving nearly 25,000 Texans in violation of federal standards for radium — a known carcinogen that the U.S. Environmental Protection Agency says isn't safe for human consumption at any level. All of the utilities are in small towns or rural areas, with a majority serving populations under 300. Two other studies, both published in 2016, found that 34 rural drinking water systems serving about 51,000 Texans had exceeded the federal drinking water limit for arsenic — also a known carcinogen — for at least a decade and that 53 of the 100 community water systems with the most violations of the so-called Lead and Copper Rule are in Texas, with more than 60 percent serving populations under 100. Experts say it’s a common and longstanding problem among smaller and rural water utilities — and that a lack of resources is to blame. But state officials also say there is plenty of state money available to help smaller utilities come into compliance — and that they are not taking advantage of it. And interviews with several water system officials suggest there’s more to it than a lack of resources. “[The funding] is out there, and we just need them to come to us and apply,” said Mark Wyatt, the director of program administration and reporting for the Texas Water Development Board, which oversees grant and loan programs for all types of public water projects. The state agency "always has loan money" available to water utilities that have a systemwide problem that affects the vast majority of their water, Wyatt said. Since its inception in 1994, the water development board has shelled out $2.5 billion in federal money to Texas communities from the Environmental Protection Agency's Drinking Water State Revolving Fund, which states may use to address public health threats or disasters. But a vast majority of that money has gone to larger cities. In rural West Texas, where arsenic and radium occur in groundwater at very high levels, only a handful of counties have received more than five loans from the state in 50 years, according to water development board data. By comparison, Harris County — home to Houston — has received nearly 400 commitments totaling more than $500 million. So why aren't smaller communities taking advantage? It's not out of ignorance, said Joe Craig, president of the Grassland Water Supply Corporation, which provides drinking water to a farming community of roughly 50 people in Lynn County, just south of Lubbock. The utility has struggled for decades with high levels of arsenic, fluoride and nitrates, according to Texas Commission on Environmental Quality records. “We’re aware of the contaminants, and we treat it individually in our own houses,” Craig said. "Yet we're still subject to these regulations, and we have to spend time and money taking care of that when we would rather find a better way." But he also cast doubt on the regulations themselves. In order to circumvent them, Craig said he anticipates the utility becoming a private water system within the year. Ed Sharp, who manages the Whitharral Water Supply Corporation on a volunteer basis, also said the limits the EPA sets are too strict, adding that he's consumed the water for years with no problems. Crag said the EPA has been overly punitive with the corporation recently and that they had a better relationship with the Texas Commission on Environmental Quality, the state agency responsible for enforcing federal public drinking water standards. The corporation has never been in compliance with federal standards for arsenic, fluoride or nitrate levels, according to all available TCEQ records dating back to 2003. "The TCEQ used to be pretty good, but then the EPA jumped on them and that fell on us," Craig said. Their skepticism of federal standards is shared by TCEQ. State agency officials have repeatedly described EPA limits on various air and water pollutants — including arsenic — as overly cautious even when they are supported by a majority of scientists and public health experts. In its 2016 study of arsenic in the state's drinking water, the Environmental Integrity Project found that Texas requires public water utilities to use less-urgent language than some other states in the notices they send to customers when their drinking water exceeds the arsenic standard. Still, many of the environmental organizations that have published the recent water studies say EPA standards are too lenient — and that the state needs to do more to enforce existing ones. Bill Walker, co-author of the radium study, said even cities with levels under the EPA’s set limit aren’t completely safe from the adverse effects of radium. “The EPA is relying on outdated science and outdated studies, and we honestly have to look at the current political climate and realize that there doesn’t appear to be a lot of will to update those standards,” Walker said. California’s public health goal to hit limits on radium in water 60 to 70 times lower than the federal limit provides an updated standard based on current science, Walker said. The comparison of Texas’ radium levels to California’s public health goal may make the problem seem worse than it really is, whether or not the EPA’s current limit is too high, said Lawler, the UT-Austin professor. But Lawler also said TCEQ could do a better job of enforcing current standards — and of encouraging public utilities to seek out financial assistance even though it may increase water bills.